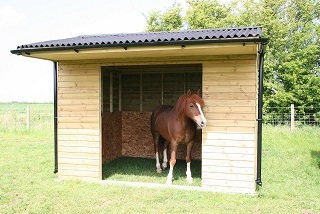 Redmire has been Installing Stables accross Scotland for many years, Predominantly in and around Aberdeen. Please ask us for a delivery quote for your proposed building, we try to combine deliveries where possible and pass the full saving on to you so the further ahead you plan the cheaper delivery will become. Our experienced fitting team usually travel with the building therefore there is no unloading to arrange unless you select or DIY products.